14th International Young Scientist conference “Developments in Optics and Communications” 2018 dates announced! 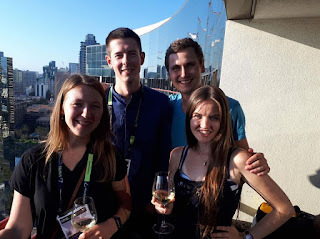 We are proud to announce that dates for next year's Developments in Optics and Communications international conference otherwise known as DOC Riga have been decided. It will take place in Riga in April 12-13, 2018 and is organized jointly by University of Latvia SPIE and OSA Student chapters. DOC 2017 was a huge success and we hope to bring an even greater conference experience to the scientific community this year! See http://docriga.lv/ for more information! 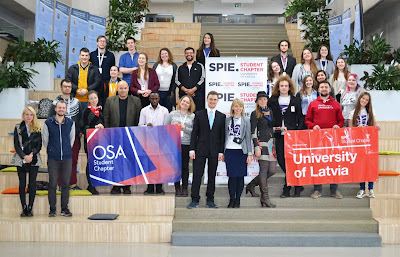 During this year’s European Researchers’ Night members of the UL SPIE Student chapter showed demonstrations of optical phenomena in several University of Latvia locations across Riga. A while ago, at the the beginning of August, there was held a Student Chapter Leadership Workshop in San Diego, USA. About 25 volunteer facilitators were needed to ensure that everyone attending the Leadership Workshop has a high-quality, small group discussion experience. Our University of Latvia (UL) SPIE Student Chapter long-term member, Dr.phys. Inga Saknite was happily chosen one of them. Matiss Lacis (ULSPIE), Nellija Liepina (ULSPIE).